I came up with an idea to clean less dishes while and after cooking. This requires you only one pan and one deep bowl to cook. Also, I didn't measure at all so all the amount I put is by eye. Udon is a type of noodle made from wheat. 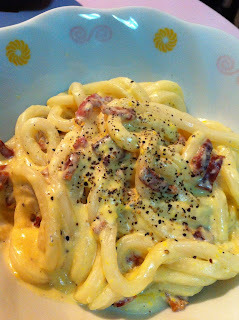 The texture is fresh-made pasta but much thicker. Put udon into a deep bowl and pour hot water to make the udon separate and warm up. 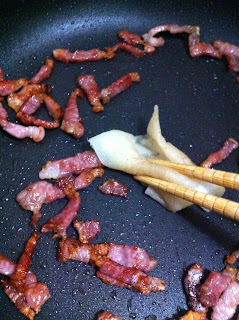 Stir-fry thin sliced pancetta till it gets crispy. Use kitchen paper to blot excess oil coming out. 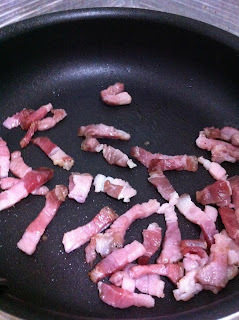 It makes it easy to make the pancetta crunchy. After taking out some oil, add garlic. 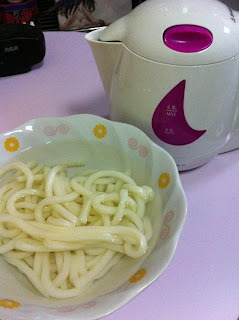 In the same pan, pour milk (or soy milk). Let it simmer a bit. 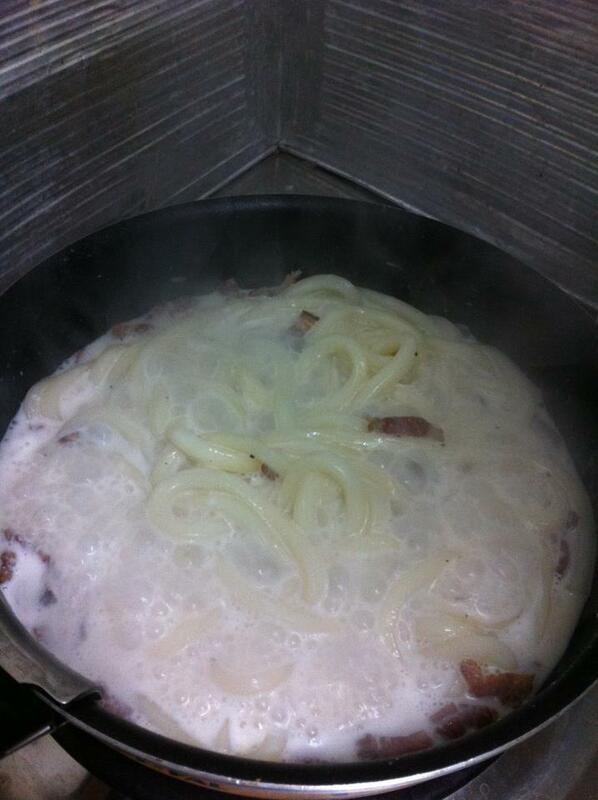 Drain hot water and put the warm udon into the pan. Let it boil until moisture has evaporate for a little; approximately 2-3 minutes. Turn the heat off and put the egg yolk unto the udon. 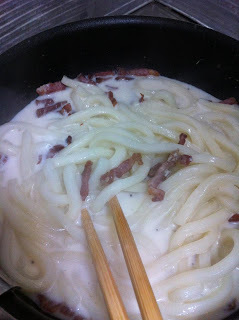 Quickly scramble up with the sauce and udon. Use cracked black pepper to finish up.